Are you stuck on what to get your friend, family member or significant other as a present? All you really know is that they’re a big fan of hitting the bingo halls or sitting at home with a bingo card and a dabber. Perfect, the bingo experts at Paddy Power have got you covered with our ten best bingo products that you can buy for that special someone. Why not let you friend or significant other, enter the bingo halls in style by adding a bit of sparkle. Priced at £9.75, this charming bracelet Bingo Creations comes in a variety of white, red, blue and pink crystals displayed inside a heart with a “Bingo” banner placed over the centre. This beautiful design also comes as a necklace and earrings. If your friend is mad about bingo and happens to have a dog why not blend the two and share their hobby with their favourite pooch. 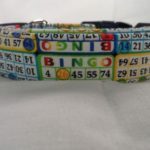 This Bingo themed dog collar from Rescue Me Collars features images of bingo cards and bingo markers. It comes in a range of sizes as well as the option of having a custom order and starts from £12.99. 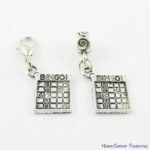 We’re still running with the jewellery theme but with something a little more creative and individual with these Bingo Card earrings. Priced at just £1.53 from Moonflower Treasures you have the choice of wearing these as clip on earrings or European Bail. It’s our most expensive item of the list but it’s definitely one to consider. 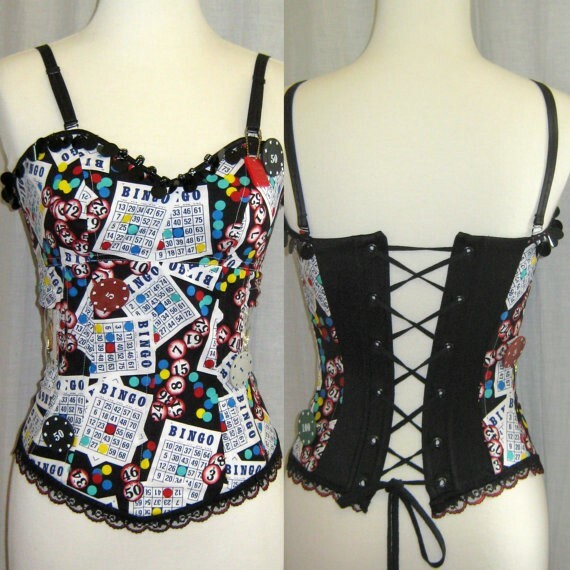 This corset is made in a bingo themed novelty cotton, backed onto white cotton with clear PVC pockets holding decorative cards, poker chips and bingo counters. These can be removed if you wish to hold personal belongings. Priced at £61.26 from Side Show Alley is a one of a kind piece. Something for the boys this time. 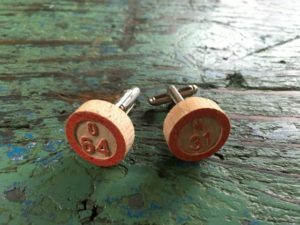 If you’re after cufflinks that will set your friend, family member or significant other apart and show off his personality then these custom bingo cufflinks are just the thing for you. 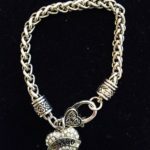 From Quirky Cuffs are carefully handmade and made to order. Priced at £16.16 these cufflinks come in a vintage tin are guaranteed to set him apart from the rest and start up a conversation. Does your friend or significant other never have anything they need when you’re sat down playing your first game of the night? 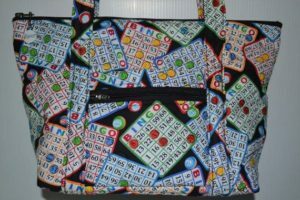 They’ll never forget anything when they can have their very own Bingo Tote Bag. This handmade quilted bag from Kelley’s Creations is 15.5 inches wide and 10.5 inches tall. Priced at £35.57, it has plenty of internal storage with spaces for game cards, dabbers, pens, and other necessitates. Want to host your own bingo party and keep it personal? These personal bingo cards should do the trick. With a personal bingo card you have complete creative freedom, on what the event shall be, the theme as well as the contents within the grid. 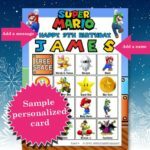 BlizzyBingo are selling 30 personalised bingo cards for £10.96 but you always have the option of creating your own from scratch. What’s the easiest way to show you appreciate something? Easy, a badge. Having a badge is an easy way to show your appreciation for your favourite game either at the halls or at home. 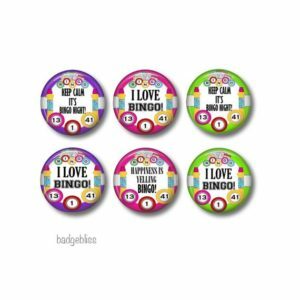 Badge Bliss are giving you the option of purchasing two pinback bingo badges or two fridge magnets starting at £2.82. They come in a range of styles and colours and can be shipped worldwide. 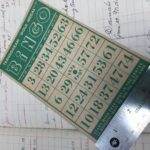 There nothing like the old days and we have to accept that some people might want to play bingo in its original format. Why not stay true to theme with a bit of vintage flare with these original vintage bingo cards. Priced at £2.44 these wooden card are from the 1940s and are in great condition. 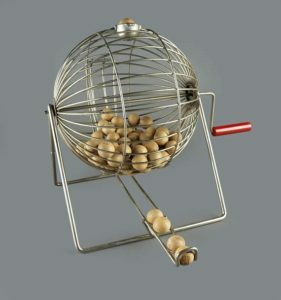 Our final choice continues the vintage theme with the one key element that every game of bingo needs, a cage spinner. Nothing will be more accurate and reliable than the good old spinner, none of this automated computer nonsense. This 1960s Vintage spinner comes from Vintage Inquisitor and includes the metal spinner fitted with a red Bakelite handle and wooden numbered balls. Priced at £37.38, it is in very good condition with minimal imperfections and works perfectly.